Der Bauhof Handwerkskollektiv, a squatters’ collective project in Kreuzberg, as featured in the Instandbesetzer Post in 1981. 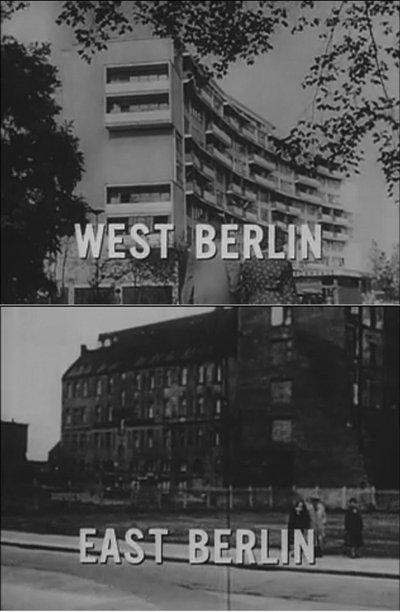 The project I have tentatively titled “SoHo, Kreuzberg, Prenzlauer Berg: Activism and Urban Renewal in the Late Cold War” continues the research I began with Architecture Politics, and Identity in Divided Berlin. With this new project, I will examine intersections between cultural production, social and political change, and urban development in the neighborhoods of SoHo in New York, Kreuzberg in West Berlin, and Prenzlauer Berg in East Berlin, from the 1970s through the early 1990s. I have chosen these three distinct neighborhoods because they were all, for different yet related reasons, allowed to deteriorate materially and economically before evolving into important centers of activism, art making, and architectural innovation. Focusing on these examples, I intend to explore the global and local forces that shaped these neighborhoods’ development, considering what is common to each, what is different, and why. 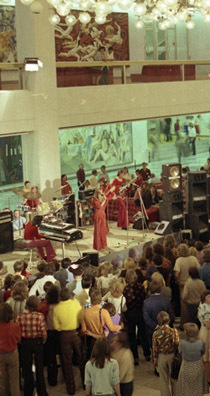 Of particular interest will be the tensions between avant-garde artists and architects, in their attempts to create spaces and ways of life that are “outside” or in critique of mainstream systems of value, and the attempts, by various political and cultural authorities, to gentrify or otherwise reclaim such neighborhoods. I have begun this work with an article and a presentation that will become an article. The first article, entitled “Graffiti and the Critical Power of Urban Space: Gordon Matta-Clark’s Made in America and Keith Haring’s Berlin Wall Mural,” explores two artworks made on the Berlin Wall and analyzes them in relation to the local politics in West Berlin at the time of each work’s creation. This article will be published in 2015, in a special issue of the journal Space and Culture, titled The Art/History of Resistance. At the 2014 annual meeting of the College Art Association I delivered a paper entitled “‘You Are Now Entering Occupied Berlin’: Architects and Rehab-Squatters in West Berlin.” This presentation will focus on an important center of exchange between architecture professionals and activist squatters: the Bauhof Handicraft Collective (Bauhof Handwerkskollektiv). Run by members of the squatter movement, the Bauhof provided a place where non-professionals could learn basic construction skills and techniques, and thus undertake “rehab-squatting.” The paper will explore both architecture-focused initiatives of the squatters movement, of which the Bauhof is one example, and the work of architects who helped squatters to renovate the apartments they had occupied. “‘Graffiti and the Critical Power of Urban Space: Gordon Matta-Clark’s Made in America and Keith Haring’s Berlin Wall Mural.” In The Art/History of Resistance. Special issue, Space & Culture, vol 18, no 3 (August 2015). “You Are Now Entering Occupied Berlin’: Architecture and Rehab-Squatting in West Berlin.” Centropa, vol 14, no 2 (May 2015). A brief description of this project also appears in my 2012–13 research report [PDF], published in CASVA’s Center 33. The Center report is a yearly report on the activities of CASVA and its members. 2019 © Emily Pugh. Crafted with love by SiteOrigin.